Should You Install Foam Insulation by Yourself in Your Garner, NC, Home? If you want to enjoy the benefits of foam insulation, you may be wondering if you can install it by yourself in your Garner, NC, home. While some highly experienced do-it-yourselfers have installed this insulation successfully, most ordinary homeowners will find it too difficult to install by themselves because of the specialized equipment needed, the many precautions that must to be taken, and the numerous potentially hazardous mistakes inexperienced installers can make. For example, foam insulation is a combination of two different chemicals that have to be precisely mixed at your home. An improper mixture can result in insulation that cracks and shrinks. Even worse, the chemical reaction can create extremely high temperatures, posing potential fire hazards. 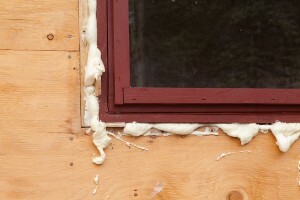 And, because foam insulation is sprayed on, applying the correct amount can be tricky. Too much can result in insulation that doesn’t cure or causes deadly off-gassing. Over- or underestimating the rate of expansion can result in too much insulation that can cause floors or walls to buckle, or too little insulation that will not provide your Garner home with the protection you expect. Additionally, while you can purchase or rent DIY equipment, it can be tricky to use. It takes an experienced hand to install insulation that will perform with peak efficiency. If you want to be sure that you enjoy the full benefits of foam insulation without the danger or hassle of installing it yourself, turn to the home improvement experts at 31-W Insulation. We have provided exceptional installation services to customers in Garner, North Carolina, and other areas throughout the entire Southeastern United States since 1972, and you can be sure that our trained and experienced technicians will install your foam insulation with meticulous care.